DISH Network (NASDAQ: DISH) stock dipped 23.8% in December, according to data from S&P Global Market Intelligence. The satellite-and-streaming television company's shares declined amid a sell-off for the broader market and the lack of a resolution to its dispute with AT&T about carrying HBO and Cinemax. DISH and AT&T (which acquired Time Warner last year) failed to reach a deal to keep Warner's premium television channels on DISH, prompting HBO and Cinemax to leave DISH on Nov. 1. An agreement has yet to be reached, and the ongoing dispute highlights competitive tensions between content producers and distributors. While telecom providers like AT&T and Comcast have been less affected by cord-cutting because they also offer internet services, DISH's business is TV-centric and less diversified. That leaves pricing increases and its Sling skinny bundle as its primary avenues to offset declining satellite subscribers. DISH Network's Sling service has built a user base of over 2 million members, but the cash flow generated by this offering might not be enough to offset declines in its satellite business. The streaming space is starting to get much more crowded, and the company is threatened by direct-to-consumer offerings from content producers including Disney, AT&T, and Comcast -- and the likelihood that big tech players like Apple are preparing to launch their own streaming services and content pushes. 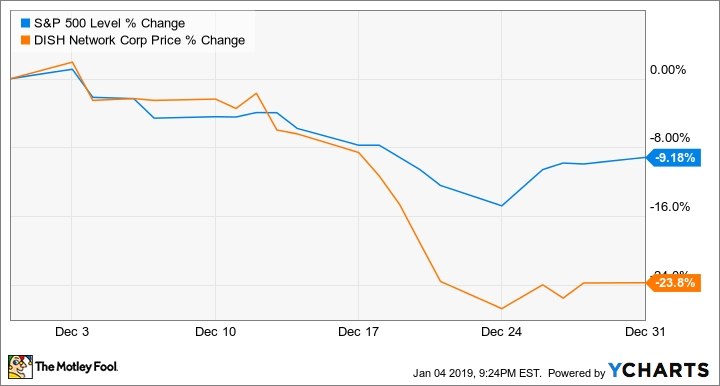 After steep sell-offs in December, the broader market has regained some ground early in 2019. 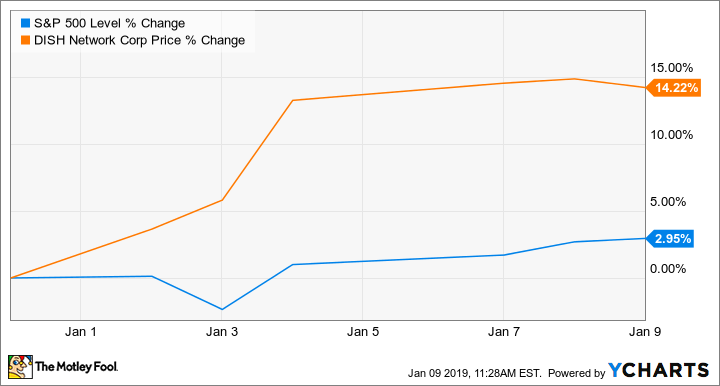 DISH Network stock has benefited from the rebound, and its shares trade up roughly 14.2% in January as of this writing. The rebound is a welcome development for DISH shareholders, but in the longer term, big questions remain about how the satellite-television provider will spur earnings growth as the TV industry goes through big changes. Shares trade at roughly 11.5 times this year's earnings. Check out the latest DISH Network earnings call transcript.